Lee Edwards wrote a piece on Kirk for Modern Age: “The Mind Behind ‘The Conservative Mind’” (Vol. 59, No. 4, Fall 2017). Jeffrey Dennis Pearce gave a talk on Virtue in Two Ghostly Tales of Russell Kirk in Mecosta in April of 2017. Justice Antonin Scalia wrote a 2003 letter to Annette Kirk mentioning the influence of Dr. Kirk on his thinking. Aaron McLeod, a former Wilbur Fellow, has written an excellent Summary of Russell Kirk’s The Conservative Mind (Alabama Policy Institute, “Essential Readings for the Modern Conservative” series, 2005, 71 pages). We commend this 2MB PDF e-book to your attention. Bradley J. Birzer has written an essay on Kirk’s life and legacy that is now hosted on the Hillsdale College website. 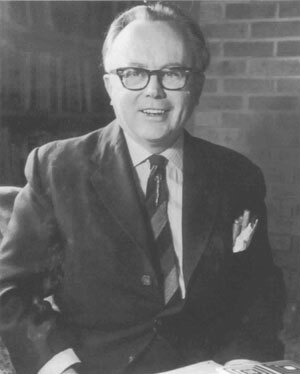 Entitled “The American Cicero: Russell Kirk,” it was posted to inspire students to consider an American Studies major. George H. Nash on “The Life and Legacy of Russell Kirk,” a 2007 lecture at the Heritage Foundation (also available as a PDF download). The Intercollegiate Review devoted its Fall 1994 issue (Vol 30 No 1) to a tribute to Russell Kirk. We commend it to your attention. C-SPAN’s American Writers Page on Kirk and Buckley (Click here to watch the program online). Wilfred M. McClay on Kirk and “The Mystic Chords of Memory” (The Heritage Foundation). Lee Edwards on Kirk as “Guardian of the Permanent Things” (The World & I, 1994). Jeremy M. Beer reviews Russell Kirk: A Critical Biography of a Conservative Mind by James E. Person, Jr. in First Things 103 (May 2000): 53-56. Human Events has listed two of Kirk’s books as honorable mentions in the competition for “Ten Books Every Student Should Read in College” (2003). Italian culture weekly il Domenicale did a full spread in late 2003 on Dr. Kirk and his legacy in recognition of the 50th anniversary of The Conservative Mind. The text is available in English and Italian. Charles W. Colson has a column on Kirk and his legacy on Town Hall (and BreakPoint) (October 2003). Gerald J. Russello’s article, “Russell Kirk and the Critics,” appeared in the Intercollegiate Review, Spring/Summer 2003, 3-13 (PDF download). “The Life and Times of Russell Kirk” by John Attarian, a review of The Sword of Imagination originally published in The Detroit News. Suggestions for other resources for this page are welcomed.